I have an autistic brother who doesn’t feel comfortable anywhere. At school he sits by himself, so I always ask him if he wants to sit with me and my friends. Anyone who’s a jerk to him either doesn’t know he's autistic or they just don’t care, so I’m always protective. He always comes to me for advice and I’m one of the few people he’s comfortable being around. It’s not that I’m getting sick of it – I really enjoy his company. But are there ways to get him to be more comfortable about everything? I’d like to see him some day sitting with his friends and inviting me over – that’d be awesome! Wow, it sounds like you’re a really great sibling to your brother! I think that you are doing everything right so far – including your brother in the things that you do and making sure that he doesn’t feel alone or left out is a great way to show him that you love and support him, no matter what. In terms of helping him to be more comfortable in social situations on his own, I suggest you speak to your parents or family doctor about what you can do. Maybe there’s even a counselor at your school who knows something about autism and can give you some advice. There are also some great books out there written especially for kids who have autistic siblings; I strongly suggest checking some of these out from the library (ask the librarian to help you find them, or look on your local library’s computer system) or reading similar information online to get more tips from the experts. Last but not least, if it’s possible and you haven’t tried it before, how about speaking directly to your brother about what he would find helpful in terms of making him feel better being in certain social situations? Or maybe ask him if there are any special activities or things that the two of you can do together that he would really enjoy … having you there to support him may make him feel better and more confident about himself around other people. Like I said, I think you’re doing a great job being a caring support for your big brother; he’s certainly lucky to have you in his life, and I’m sure you feel the same way about him! It may take some patience and a lot of support and encouragement, but in time I am sure you and your brother can go a long way in helping him to find his own place in the world! Got any good advice for PSS? Leave your comment below! 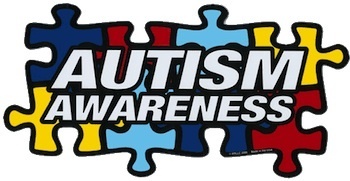 Which Celeb Is Linked to Autism?